When the sun is bursting and the beaches are sparkling, take a seat at one of these cafes-by-the-sea that have the most stunning views. And the best part is that you can go for a swim with the kids after your meal. The Northern Beaches finest family coastal dining experience- where surf and sand meet delicious eats and a seaside breeze. Grab a window seat to look out at a wide expanse of blue as you enjoy prawns salty and fresh from the sea, and a Little Nippers menu the kids will devour. Enjoy a Japanese-Hawaiian inspired menu and even cocktails if you're in the mood! If your kids are happiest when they’re not restricted to sitting at a table – this is perfect. Let them play in the sand while you keep a watchful eye on them and chow down on delicious brunch, lunch and snack options. Find out more here. It's not to be confused with the Boathouse chain, this brand new cafe/restaurant smack bang on the beach is just what the area needed. Dine all day long on everything from ricotta pancakes and coffee to oysters and champagne. The kids can easily play near by on the sand as you relax. Website coming soon. Open Tues - Sun: 7am - 4pm, Walk-ins only. The Tex-Mex kings have just opened up shop in Manly and although it's not a cafe, we have to mention it for its rooftop views of the water. Oh and it's $2 Taco Tuesdays, 10 cent wings Wednesday and half-price fajitas on Wednesday. Oh AND its cactus garden. We cannot love this place enough. Find out more here. This restaurant just had a million dollar facelift. Formerly known as Cafe Neptune (which has been around forever), it's a new era of Neptunes with the refurbishment of the restaurant and functions room, along with a revitalised menu. Looking over the sea you can enjoy pizzas, pastas, and other Mediterranean classics. Kids will love the buttermilk chicken bites with parmesan aioli! Find out more here. The view of this rooftop cafe is over Sydney harbour including the bridge, Opera House, and city skyline- with nothing but blue and ferries bobbing up and down as far as the eye can see. The views, particularly on a sunny day, are unsurpassed. It’s such a treat to find a relaxed yet sophisticated kid-friendly cafe by the water in the bustling city centre, but the MCA has somehow managed. The menu changes seasonally to reflect the exhibitions on display. Find out more here. Pelican Pavilion is a seaside cafe, which is part of the refurbished The Collaroy. It’s situated in an enclosed deck with the best view around. Kids are most welcome here and little ones will love rummaging through the baskets of toys near the entrance, plus on Sundays they do Storytelling and face painting. The menu is summery with a healthy slant. Think Coconut Bircher for brekkie or Smores Waffles for a treat. Brunch is a delicious selection of grilled salmon on sourdough, brekkie burger, pulled post benedict and more – all very reasonably priced. There is a fabulous playground nearby, Bruce Bartlett Reserve. There is paid parking near the hotel, surf club and playground, or street parking in the side-lanes nearby. Serving Breakfast & Brunch every Saturday & Sunday from 8am – 12pm. 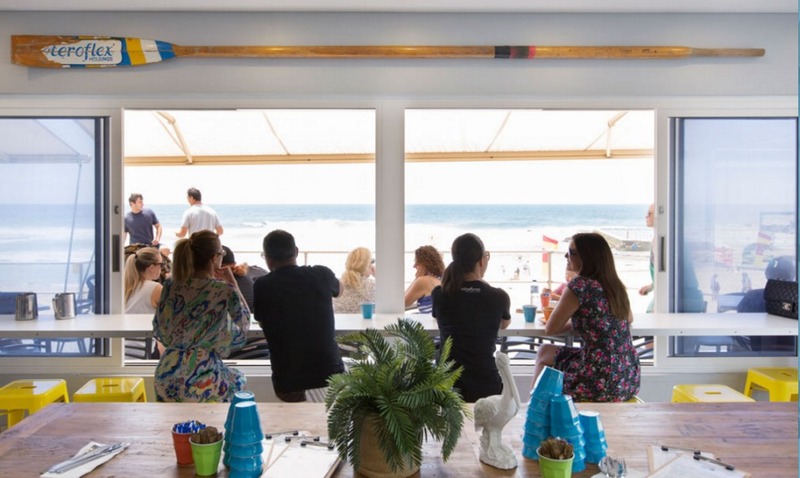 The South Curl Curl Surf Club is right on the beach and is now home to a newly renovated venue with a million dollar view. Specialty coffee bean Belaroma chose this location as the flagship store for its Gusto coffee brand cafe. Munch on bacon and egg rolls; “longboards” with boiled eggs, smoked salmon, brie and avocado; or kid’s toasties. The cafe is dog friendly too! This cute general store, (actually a heritage listed post office built in 1909) is a hidden gem in Sydney. 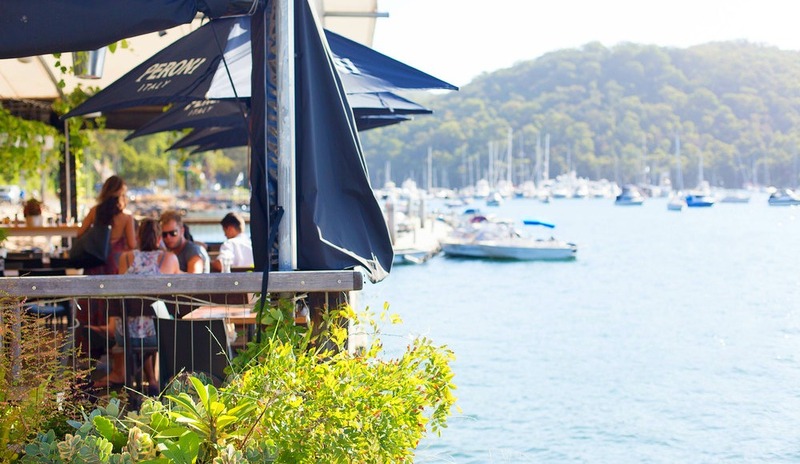 You can drive or travel by boat to Church Point, take the ferry or enjoy a scenic walk along Pittwater’s foreshore to get to this kid-friendly cafe with stunning water views. The Waterfront Cafe menu is organic and locally sourced but still full of your child’s favourites like breakfast tacos, pizzas and fish & chips. Open 7 days a week, breakfast, lunch and dinner. See website for trading hours and specials. Just a few steps from the crystal sands of Shelly Beach, is the Boathouse, a spacious open cafe that invites you to lounge around all day. Considering its location, its unsurprising to find that its menu has a lot of seafood and the classic fish and chips. If you wander past the kitchen you’ll find yourself in a beautiful open-air garden. The Boathouse offers a range of fresh juices, smoothies and coconuts to takeaway and Australian classic cakes baked daily at their in-house bakery. Need A Swim After You Dine?